Orlando, Florida, October 8, 2018 (PERSPECTIVE MAGAZINE) Vacation SafeGuard Limited (VSG), the first and only 100% Loyalty Cash Back Program that is protected by insurance has been honored by the Canadian Vacation Ownership Association (CVOA) with its prestigious Cornerstone Award. VSG received this distinction during a ceremony held at the Westin Trillium House Resort in Blue Mountain, Ontario, Canada on September 26th. 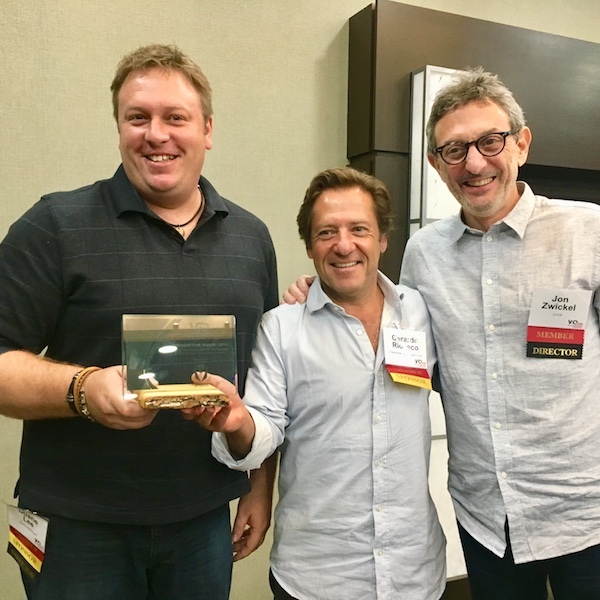 Now in its sixth year, the CVOA Cornerstone Award is given to an industry innovator who has seized an opportunity to engage the marketplace in compelling ways over the past 18 months. The CVOA Cornerstone Award also recognizes those who are striving to make a positive impact on the vacation ownership industry, the environment, and society. “We are thrilled to be the recipient of this incredible honor this year. CVOA is a great organization and they do so much for our industry, not just here in Canada, but across the US, Mexico and the Caribbean as well. The VoCon conference was a great event and winning The Cornerstone Award was a highlight for us here at Vacation SafeGuard. 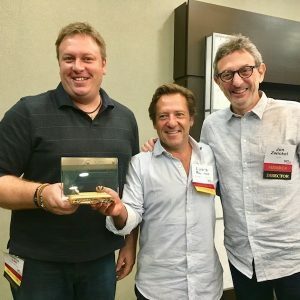 Our team has worked very hard to develop a strong, flexible, and innovative solution for clubs and resorts worldwide, and we are so thankful to all that contributed to enable us to receive this prestigious award,” stated CEO of Vacation SafeGuard, Duane Lee. With this award, VSG has joined the ranks of previous winners including RTX, Lifestyle Holidays Vacation Clubs, National Timeshare Owners Association, Dial An Exchange, and Whistler Vacation Club. Although the Toronto, Ontario-based company has only been in the spotlight for less than a year, VSG has seen rapid growth. In its most simple format, Vacation SafeGuard delivers a highly customizable 100% cash back program, where vacation club operators can improve their value proposition by offering new and existing members the opportunity to receive all of their original purchase price back, simply by staying loyal to the club for a set period of time. The program is structured entirely differently from all other cash back related programs previously available. It is based on a structured finance model that requires no breakage; and because of that it has been able to secure insurance as a “safeguard” on the funds to ensure a 100% payout to all qualifying customers. Vacation SafeGuard can also be used throughout the term to enhance upgrades and allow the member to upgrade early using credit already accrued, extend their length of membership and still retain 100% of their money back, providing the member with more control over their membership size and length, and giving the club a better value proposition that drives more first day sales and upgrades. Earlier this year, VSG partnered with INTUITION, a leading marketing agency which specializes in sales and marketing, customer engagement and reputation management strategies for hotels and resorts. Through this partnership, INTUITION serves as Master Agent for the VSG program globally.